If you’ve read my blog for a while, you’ll know that I am really passionate about capturing gorgeous images of your family. Like really passionate! But what you may not have picked up on yet, is that I am just as passionate about printing those images. Getting them off your camera and out of the cloud and onto solid ink & paper. Prints that you can hold, touch and see even if the batteries are flat or the wifi is out. 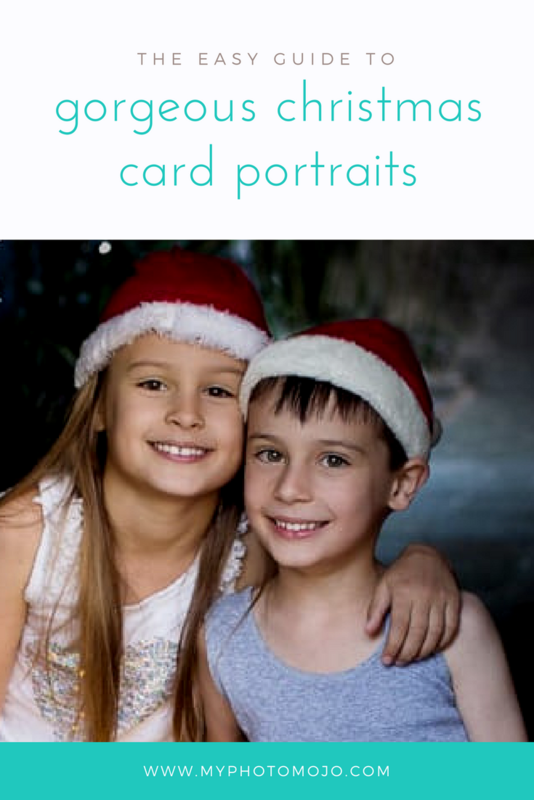 Printing your photos make you smile, in fact, there was a once a study done that having print family photos around your home helped to improve your children’s self-esteem. If you’re anything like me I have the best news you’re going to hear all year! What if I told you, printing photo books could be done in just a few minutes. 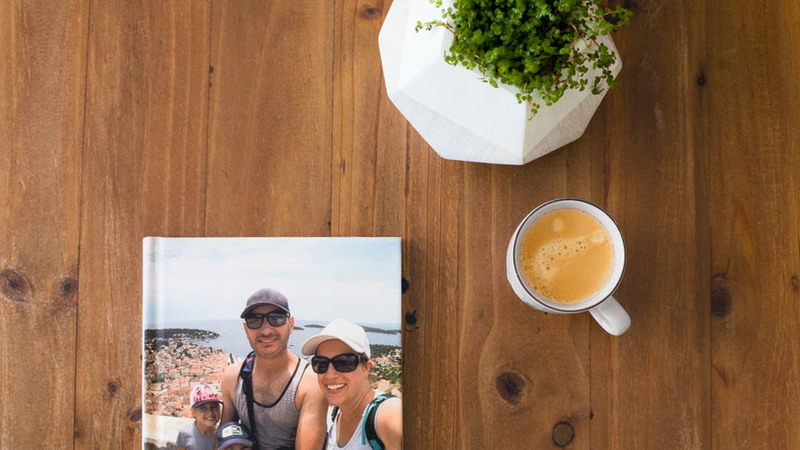 Or, even better you could set it on autopilot and have gorgeous photo books printed beautifully and sent you on a regular basis without you even clicking a single button on your phone. Impossible? You’re crazy Lisa I hear you say? That last part may be true, but happily, for busy people the world over, you can now automate your photo books. I bring you chatbooks. Beyond easy photo books! 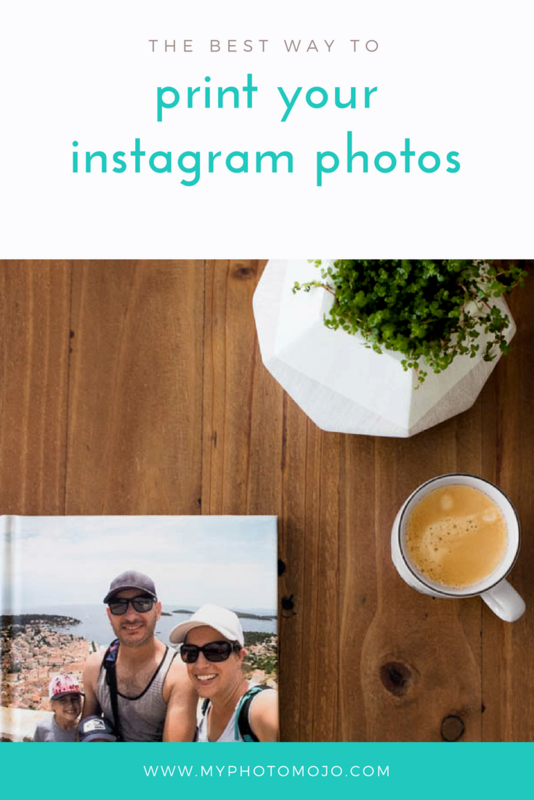 You can create custom photo books, or set up a Photo Book Series, then forget about it: photos you post on social media (Facebook or Instagram) or choose from your phone will be added in automatically. Naturally, I had to fully test out the book before I’d recommend it (which I absolutely do). I’m a tough sell too, not only do I want good colour and consistency, I want the software to be easy to use. 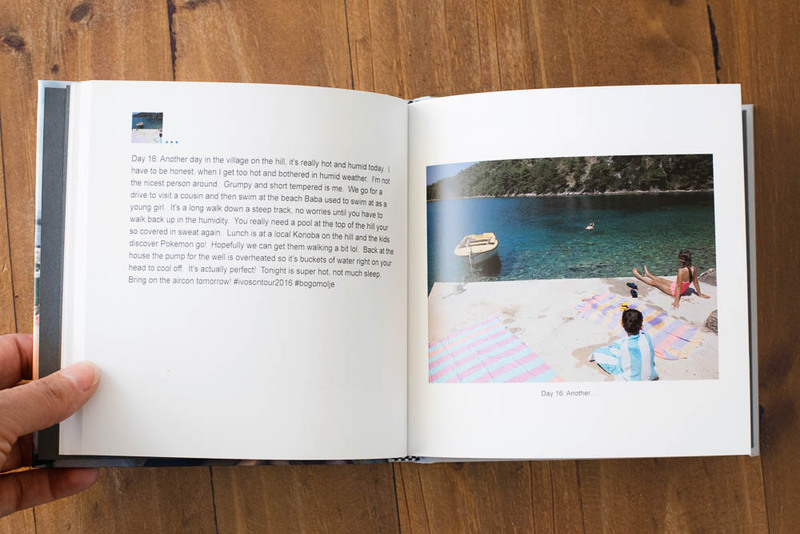 A recent family holiday in Croatia was the perfect opportunity to road test Chatbooks . See, I take a lot of photos when we are on holidays, a lot, and for special trips, I also love to keep a diary of the holiday. When I get home the intention is to make a photo book from the images, but the sheer effort involved in culling my images and setting up the book means it can be years, and then a few more before anything happens. 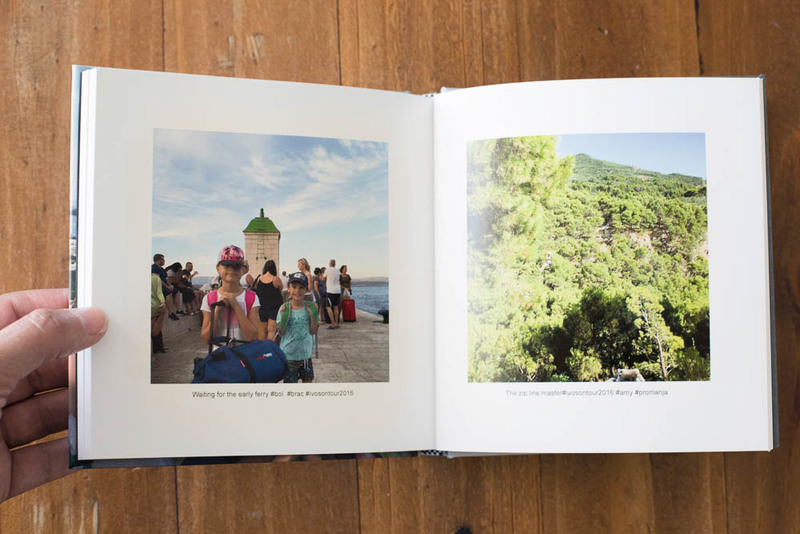 This trip, I had myself a photo book, with a daily note/diary entry in my hand in just a few weeks after the trip, to use their tagline – it was beyond easy!! During the trip I simply uploaded a photo a day to instagram, said a little or a lot about the day, and added a unique #hashtag to those photos. When I got home, I simply created a custom photo book based on the #hashtag, checked I hadn’t missed a day and that they were in order. And shazam, this beauty arrive in the post a few weeks later. Yahh me! Even I was shocked at myself. Not just for special events. 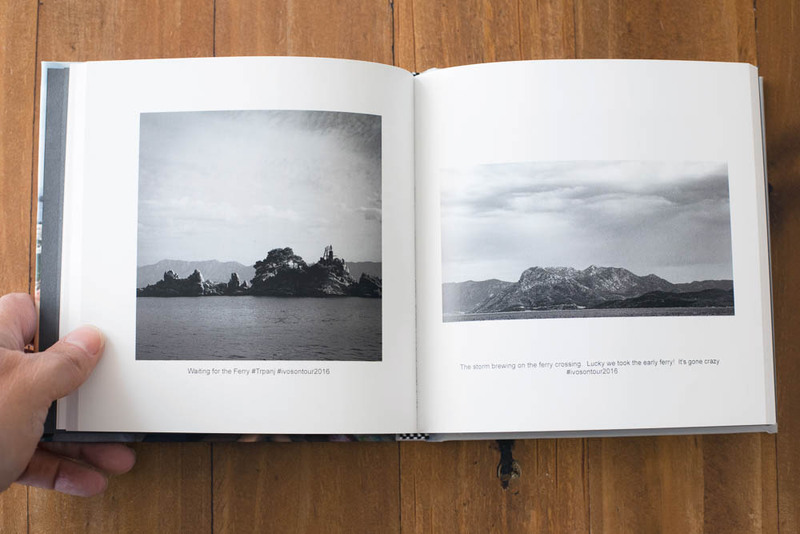 These photo books are perfect for photo a day projects and for daily life. Just set up the photo book series and chatbooks will automatically print and send you a book for every 60 images. They’ll let you know when you’re getting close so you can go in and edit the selection. You can set this automatic process for photos on your Instagram, facebook or your camera roll if you don’t use social media. I was really happy with the colour and the printing of my photos, the quality of the paper and the book was amazing for the price. Oh yes, the price. Let’s talk about that. How much does this all cost I hear you ask? Surely such simplicity is going to cost me. 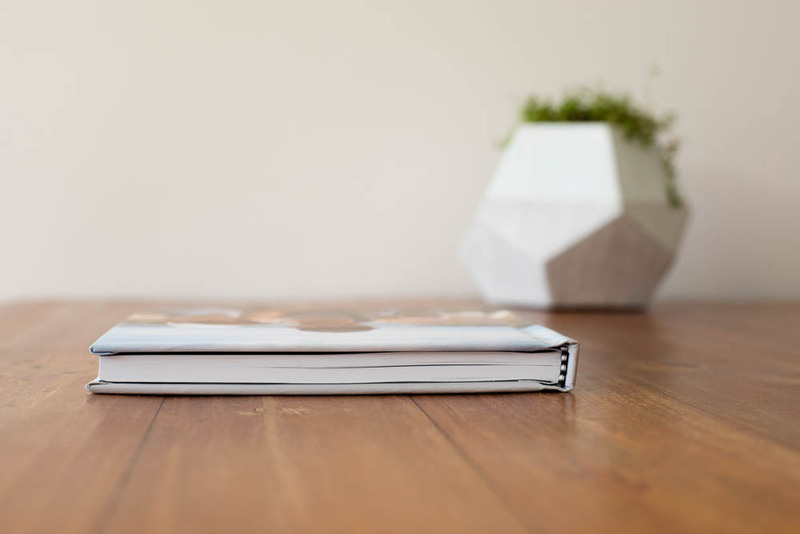 Nope, these are some of the most affordable photo books I’ve ever used. At the time of writing, just $8 USD for the automatic books, and $12 for custom – free shipping per book. Even taking into account my upgrading to a hardcover and adding a few extra pages and shipping to Australia, it was still great value! But don’t take my word for it, try Chatbooks for yourself, don’t loose your precious memories in your hard drive! Go – get printing – you just ran out of excuses! 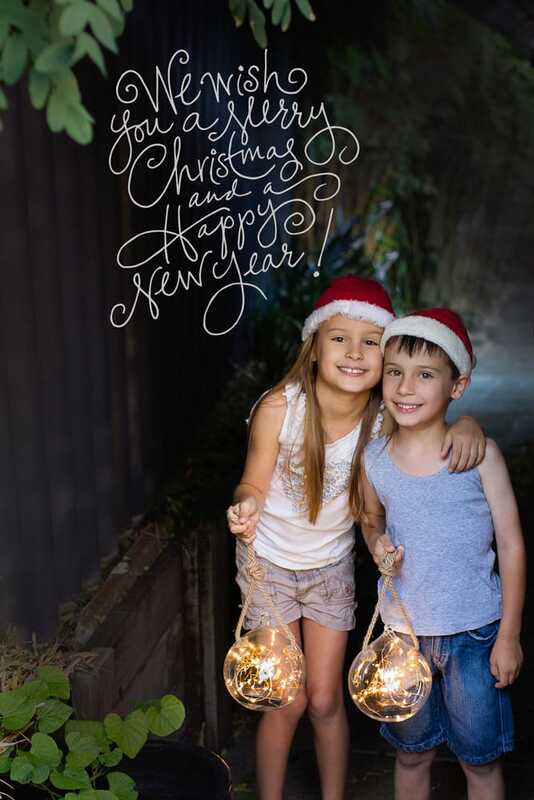 Every year, I love “subjecting” my kids to a christmas card portrait, I’m pretty sure it’s the highlight of their year as well ;). 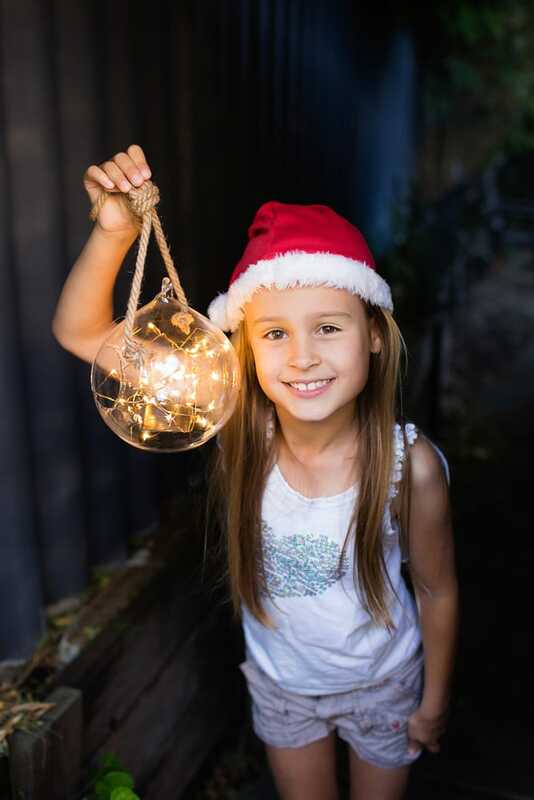 Now I’ll be honest, as a portrait photographer – the few months that lead up to Christmas are my busiest months of the year, so unless I actually manage to get organised in September (um nope) it’s normally a mad dash at the last minute with bribes a plenty ensuring the kids cooperate. This year was of course no different 🙂 Inspiration came from a $5 set of battery operated twinkle lights. 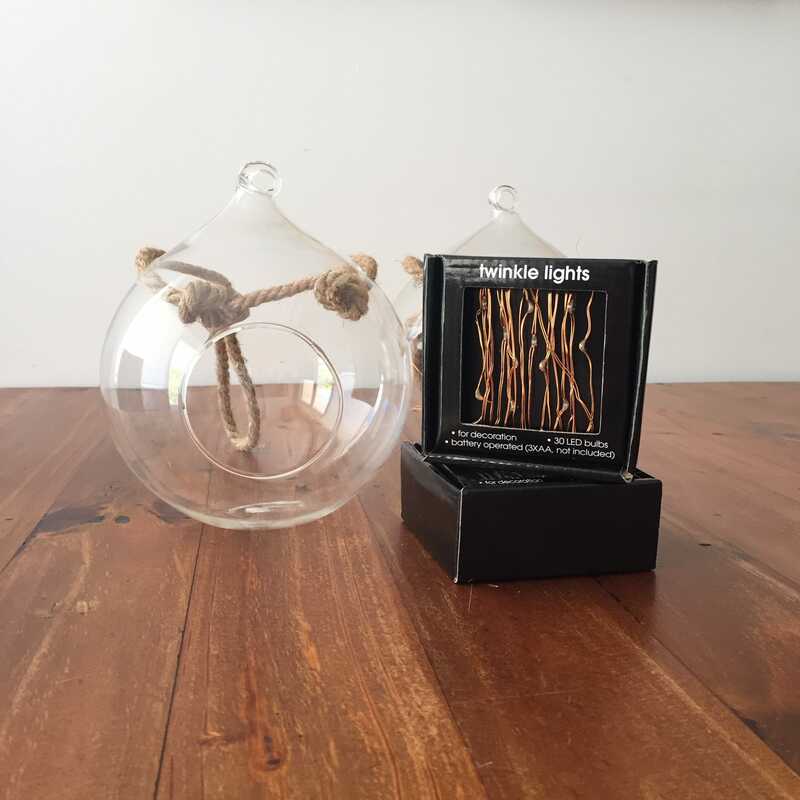 Add in a few hanging glass terrariums (both super cheap at Kmart) and the idea was born – have the kids hold the glowing glass lanterns out like they were out searching for some christmas magic. Simple. Actually it really was! I wanted it to be darkish so the lanterns would glow nicely, so I waited until just before sunset before shooting. 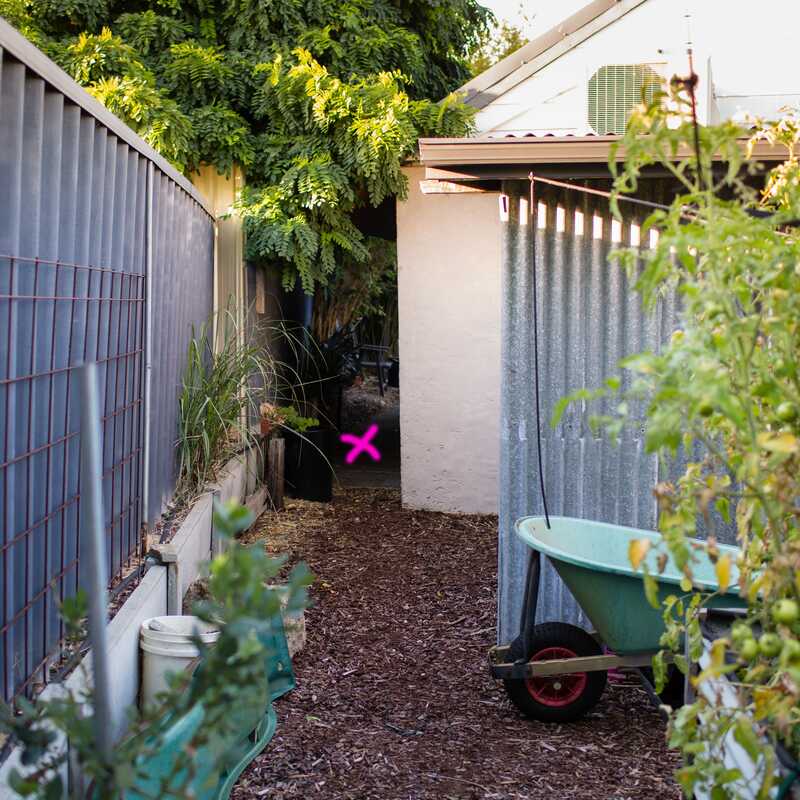 The location I chose was our backyard – and the little passage behind the studio (kinda like a back shed) was perfect. I simply had the kids stand at the very edge of the passage (right where the pink x is). There’s lovely soft light falling on their faces but the back ground was dark and moody. Just what I had in mind. 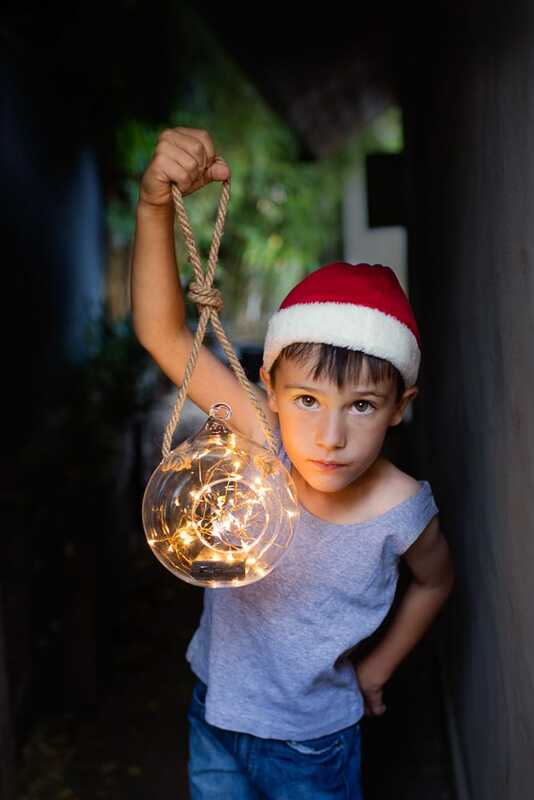 Now the fun part – the kids were suitably motivated with their bribes to wear the clothes I suggested and to “mostly” do what I wanted in the shoot. Here’s what I also do to help it all go smoothly. Let them choose an element of the session. Kids like to feel in control of something, so by choosing two hat options I was happy with and allowing them to select their favourite the wardrobe choices went (almost) unnoticed. Santa hats it was (elf ears were the other option). Don’t have a really rigid plan in mind, have a good idea but don’t be too fixated on it. They might not be able to achieve exactly what you imagine and you’ll end up getting frustrated and angry – and then it all gets messy and any co-operation goes out the window. Let them be themselves. Plan, but be flexible. During these shoots I always take a few on their own as well as together, I keep these shots for our album. The image together goes on our christmas cards and tags. I buy plain kraft tags and simply glue the photo on. One more thing to remember with composition. 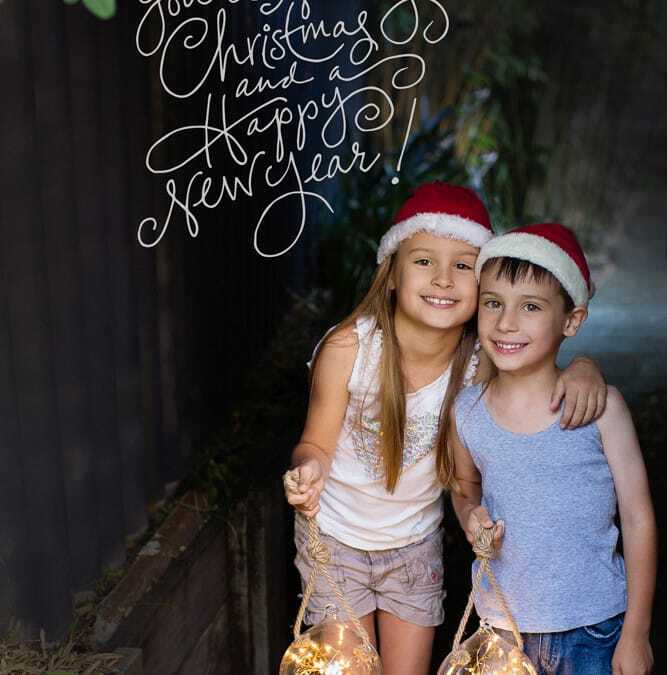 I’ve left a fair amount of space to the top and right of the main shot – I like this – but I also knew I’d be putting a christmas message over the photo without covering anything important. I’m pretty happy with this years shot. 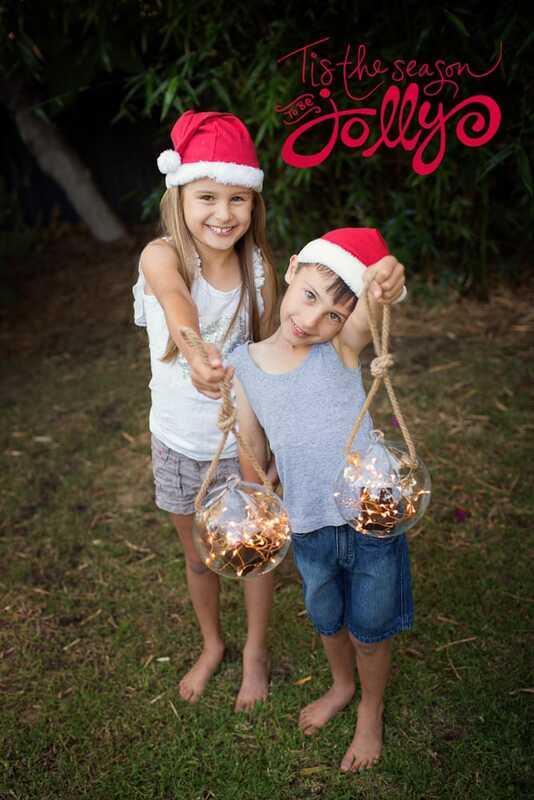 While the kids were still having fun I had them pose in the back of the garden as well – which one do you prefer?